Brad Stone, Silicon Valley journalist and best-selling author of The Everything Store, is known for his incisive stories on companies like Apple, Google, Amazon, and even Costco. 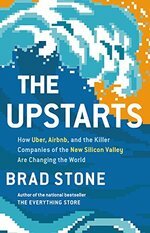 His new book, The Upstarts takes a look at two of the biggest players in Silicon Valley today: Uber and Airbnb—how they began, and how they're changing things. Startup founders are used to crafting descriptions of their company of variable length, from a full deck, to an "elevator pitch," or just a few insistent words. So... what's this book you wrote? After covering Amazon, I'm guessing you cast around a bit for the next company or companies to cover. What drew you to the stories of Airbnb and Uber? Honestly, I almost abandoned the book early on—I disliked the companies, the founders, and aspects of their "sharing economy" so much. I didn't and I'm glad—it's gripping and I learned a lot. Your account is no hagiography. Did you like your subjects? I'm impressed by what they accomplished and am a customer of both companies. I've stayed in lovely Airbnbs in Paris, South Africa, Brooklyn and elsewhere and met great hosts in all those places. I take Uber and Lyft around San Francisco and frequently when I travel. Do I like the founders? It's not really my job to like or dislike them. I'm curious about the companies they have built and how they run them. Your previous book, The Everything Store, chronicled the rise of Amazon. Amazon, and Uber/Airbnb represent two distinct waves in technology startups, with perhaps another, social wave—Facebook, Twitter and, in its small way, LibraryThing, in between. 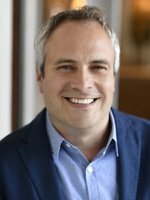 What distinguishes the companies you've researched, and their founders. And what unites them? No one sits in the same category as Amazon. It's defied all the expectations and allegations of its critics and expanded into an empire that delights customers and frustrates competitors. The founders of Uber and Airbnb are in a way disciples of Jeff Bezos. They are trying to emulate his bold bets on new initiatives, and Uber, I think, has tried to capture its culture of productive friction. But they both still have work to do. You clearly had to juggle and resolve a lot of conflicting narratives, provided by interested participants—a problem of historians since Herodotus. Sometimes you mention who says what. What was your basic method? My method is to talk to everyone I can, then fuse the varying viewpoints into a coherent and readable narrative. The only way to capture this kind of confusing and chaotic narrative is to report the heck out of it. I used to track at least two dozen competitors. All are now dead except Goodreads, which ended up getting huge, while the first company in the space, LibraryThing, got niched. So my favorite chapter was the third, "The Nonstarters," which delved into the companies that didn't win, although some succeeded on other terms. To me, treating their stories seriously challenged the easy, whiggish narrative of the Great Company That Would Win. Why did you want to include the also-rans in your account? Uber and, to a lesser extent, Airbnb, are accused of running roughshod over regulation and playing hardball with competitors. I wondered—what happened to the other guys? What happens when you play by the rules? There were plenty of companies that preceded Uber and Airbnb, that invented the same notions before they did. So talking to those entrepreneurs, and sensing a bit of wistfulness about how they lost, made for great stories; but it also helped illuminate the skills you do need to succeed in highly regulated businesses. I think if Uber had moved slower, or been nicer, it would not have won. Uber—and its pugnacious CEO, Travis Kalanick—has been in the news a lot recently, accused of a "toxic culture," including sexism and sexual harassment. The charges are at least prefigured in your book—or even simply confirmed. So, what do you think about all this? The same things that made Uber successful have made it susceptible to the problems it's recently encountered. They've moved fast, hired quickly, expanded around the world in an eye-blink—often without enough consideration given to the guardrails provided by, say, a strong HR organization, or proper footwork with local authorities. You're smart, hard-working, and know a lot about technology and technology startups. Many with far fewer advantages have leveraged this into technology fortunes. Have you ever been tempted to move, as it were, from zoologist to elephant? Hahahaha. Good one. No. I love what I do—decoding the best stories of our time. Has the next wave of world-changing startups already begun? What does, or will, it look like? I'm wondering right now if the top five technology companies (Alphabet, Apple, Amazon, Facebook, and Microsoft) are so dominant, cash-rich and competitive that they will simply buy any promising startup that emerges. Could we be entering an age where very few promising tech startups makes it out of the incubator? Since at least The Soul of a New Machine (1981) and Hackers (1984), journalistic accounts of technology, technologist, and technology companies have been proliferating, including your (excellent) books. Can you single out some that are on your list, for insight or inspiration, and tell us why? You have named two; really all of Steven Levy's books are an inspiration. Ashlee Vance's Elon Musk is a thrilling and revealing portrait of a genius, and I'm not just saying that because Ashlee is a friend of mine. I love Walter Isaacson's Steve Jobs, for showing what's possible with a symbiotic collaboration between subject and author. Okay, now for the "LibraryThing" questions! Tell us about your personal library. After paring back my book collection to save space and move to the Kindle, here's what I kept: my college science fiction collection. A collection of Nabokov. Some favorite books I like to return to, like The Godfather, Raymond Carver short stories, some Kurt Vonnegut and Douglas Adams. I have a graphic novel collection. And 26 foreign editions of The Everything Store, none of which I can read. Also, a bunch of my kids' books, and of course the Harry Potter books. And what are you reading now, in any category? Homo Deus by Yuval Noah Harari and The Refugees, a new book of short fiction by Viet Thanh Nguyen, the author of the wonderful The Sympathizer.